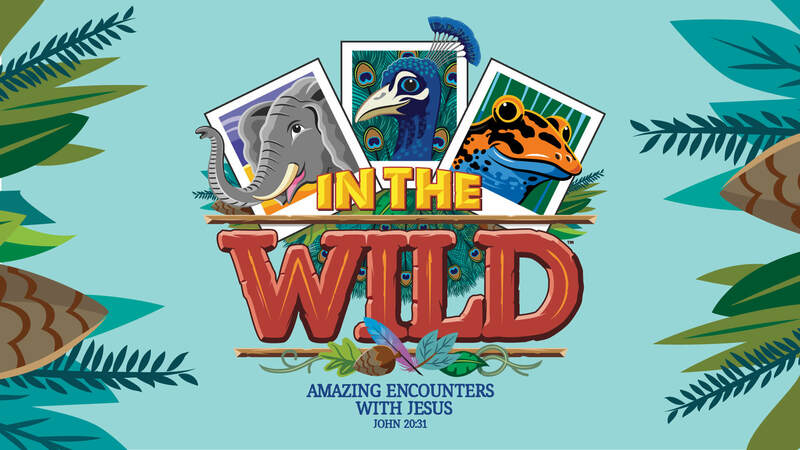 Into the Wild: Amazing Encounters with Jesus! Grab your camera and zoom in on elephants and egrets, polar bears and penguins, cockatoos and crocodiles, and so much more! This summer kids will focus in on some amazing, real-life encounters with Jesus while heading out on an adventure like no other. As kids take snapshots of exotic animals, they'll also take a look at snapshots of Jesus - specific moments in time captured on the pages of Scripture. They'll discover that each snapshot is an opportunity to respond to the gospel and, when put together, reveal the most amazing truth of all - Jesus Christ is the Messiah, the Son of God, and by believing we can have life in His name. Monday-Friday 9:00-11:45am. For kids entering PreK/4s - 6th grade this fall. Registration opens June 1. Want to impact kids' lives this summer? Sign up to serve at VBS!